Manufacturer of a wide range of products which include mushroom actuator, programmable tension control drive for coilers/decoilers and control & signalling devices. Adhering to our international quality production, our company has gained the client's faith towards our qualitative Mushroom Actuator. 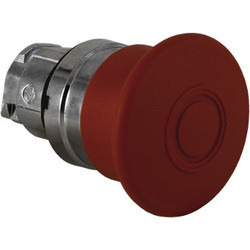 Used as a switching device, these mushroom actuators are designed with finest quality material & leading techniques by our skilled workforce. 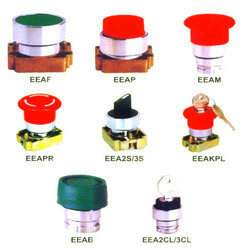 We offer these mushroom actuators on varied specifications as per the requirements of clients. The offered mushroom actuators are generally installed near the motor. 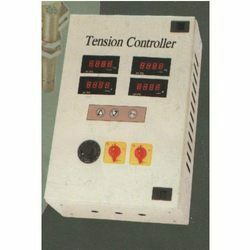 We are engaged in offering Programmable Tension Control Drive FOR Coilers/Decoilers that are meant for timer application. This product is well appreciated among our clients for the optimum performance level, longer service life and high durability. All our products undergo quality check to ensure international quality standard. Avail these from us at the most affordable prices. We offer high quality Control and Signaling Devices to our clients which are known for the optimum quality performance. These devices are manufactured using high quality raw material to ensure reliable performance, high durability and optimum quality. All our devices undergo quality check so that our clients get superior quality products. Looking for Electrical Signaling Devices ?